5.0 out of 5 starsA beautiful story - so inspiring for young girls to have strong female characters ! I would recommend this book to all women & girls & people interested in folk history. Looking forward to reading Ermas Attic ! Thank you for this beautifully written book. “Angels in Appalachia” is a touching story that depicting the hardships and trials of wives and families in the Coal Fields of Appalachia, while weaving together the lives of many individuals from different walks of life and telling their story with humor, sorrow, and reality. This story presents the sacrifices made by the different characters in the story to aid their fellow man, which is so typical of people from that region. Deanna, keep writing as each story gets better and better. I can’t wait for the next one. 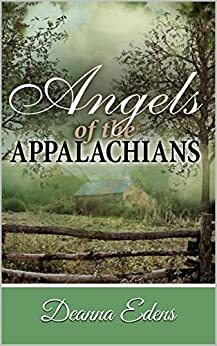 Annie lived with ninety-year-old Ida in Charleston, West Virginia while she completed her dissertation on West Virginia history and profiles of the Appalachian people. While delivering a slobbering hound dog to its owner, Annie came to know Ida’s elderly friend, Erma. As easy-going mountain people do, Erma and Ida loved to reminisce and Annie listened carefully to their stories rich in Appalachian history. Erma’s daddy had worked in Red Ash Mine in the community of Red Ash, West Virginia. After the explosion deep in the mine in 1905 her daddy was buried next to her Uncle John. Mine foreman, JR, informed Erma’s mamma they couldn’t live in the company camp housing unless she allowed little Erma to work in the mine since her husband couldn’t anymore. Mamma and Erma (carrying her little brother) walked miles to Mrs. Jones’ home for widows who needed a fresh start. Erma began a life-long friendship with another young resident, who remained her closest friend, Ida. Erma and Ida learned self-confidence as Mrs. Jones gave them encouraging compliments, exposed them to new adventures, and allowed them the freedom to grow into mature young ladies. Ida and Erma are excellent sources for Annie to record the history of areas in Appalachia because they lived it. Edens paints a rich picture of the way it used to be. Loved these books. Reminded me of my granddad coming home from the coal mines and the stories about my great-granddad working in the mines when there weren't any health and safety protections. I've know good country people like those in these stories. Whether it's a new baby, someone sick, a death, a house fire or other life events, they were at the door with food or helping to pump out a flooded basement or whatever was needed. As a little girl, I asked my grandma why we were taking a blanket, towels and canned goods to a family, and she said "you have to put hands and feet to your prayers when people are having trouble." As one quote in the book says. "It's not what you have, it's what you give." Hoping for more of these books. I bought this book for the West Virginia connection. My husband's family is from the Fayette and Raleigh County areas so I was already familiar with Thurmond. His grandfather had worked in the mines and we have many friends who were also miners. The storyline made it clear that while mining is still dangerous, it was much more so at the time the story starts. I really liked the characters - they were very real. The various time periods addressed helped show the continuity of the characters lives. I highly recommend this book. This story about two young girls who made "pinky vows" in the 1900's showed us a life-long commitment to pursue their goals together. I loved their determination to move from rural life to productive work in the city. I also loved how Mrs. Jones used her farm to help mountain people escape coal mine life. Erma and Ida were very believable, and I am anxious to read the back-stories in "Erma's Attic."